False Internet claims and rumors fly about McCain’s running mate. We’ve been flooded for the past few days with queries about dubious Internet postings and mass e-mail messages making claims about McCain’s running mate, Gov. Palin. We find that many are completely false, or misleading. Palin did not cut funding for special needs education in Alaska by 62 percent. She didn’t cut it at all. In fact, she tripled per-pupil funding over just three years. She did not demand that books be banned from the Wasilla library. Some of the books on a widely circulated list were not even in print at the time. The librarian has said Palin asked a “What if?” question, but the librarian continued in her job through most of Palin’s first term. She was never a member of the Alaskan Independence Party, a group that wants Alaskans to vote on whether they wish to secede from the United States. She’s been registered as a Republican since May 1982. Palin never endorsed or supported Pat Buchanan for president. She once wore a Buchanan button as a “courtesy” when he visited Wasilla, but shortly afterward she was appointed to co-chair of the campaign of Steve Forbes in the state. We’ll be looking into other charges in an e-mail by a woman named Anne Kilkenny for a future story. For more explanation of the bullet points above, please read the Analysis. Correction: In our original story, we incorrectly said that a few of the claims we examine here were included in the e-mail by Kilkenny. Only one of the claims – about the librarian’s firing – was similar to an item in that e-mail. We regret the error. 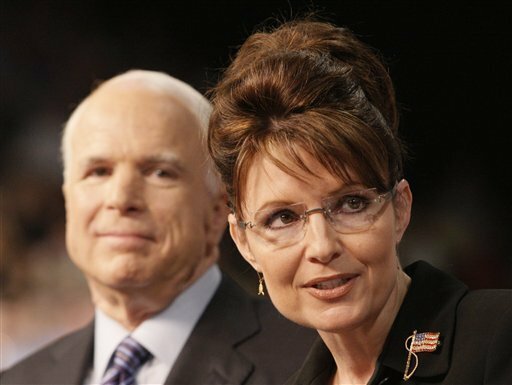 Since Republican presidential nominee John McCain tapped Alaska Gov. Sarah Palin to be his running mate, information about Palin’s past has been zipping around the Internet. Several claims are not true, and other rumors are misleading. O’Brien, Sept. 4: One are that has gotten certainly people sending to me a lot of e-mails is the question about as governor what she did with the special needs budget, which I’m sure you’re aware, she cut significantly, 62 percent I think is the number from when she came into office. As a woman who is now a mother to a special needs child, and I think she actually has a nephew which is autistic as well. How much of a problem is this going to be as she tries to navigate both sides of that issue? According to an April 2008 article in Education Week, Palin signed legislation in March 2008 that would increase public school funding considerably, including special needs funding. It would increase spending on what Alaska calls “intensive needs” students (students with high-cost special requirements) from $26,900 per student in 2008 to $73,840 per student in 2011. That almost triples the per-student spending in three fiscal years. Palin’s original proposal, according to the Anchorage Daily News, would have increased funds slightly more, giving intensive needs students a $77,740 allotment by 2011. Education Week: A second part of the measure raises spending for students with special needs to $73,840 in fiscal 2011, from the current $26,900 per student in fiscal 2008, according to the Alaska Department of Education and Early Development. Carl Rose, the executive director of the Association of Alaska School Boards, praised the changes in funding for rural schools and students with special needs as a “historic event,” and said the finance overhaul would bring more stability to district budgets. According to Eddy Jeans at the Alaska Department of Education and Early Development, funding for special needs and intensive needs students has increased every year since Palin entered office, from a total of $203 million in 2006 to a projected $276 million in 2009. Those who claim that Palin cut special needs funding by 62 percent are looking in the wrong place and misinterpreting what they find there. They point to an apparent drop in the Department of Education and Early Development budget for special schools. But the special schools budget, despite the similar name, isn’t the special needs budget. “I don’t even consider the special schools component [part of] our special needs funding,” Jeans told FactCheck.org. “The special needs funding is provided through our public school funding formula. The special schools is simply a budget component where we have funding set aside for special projects,” such as the Alaska School for the Deaf and the Alaska Military Youth Academy. A different budget component, the Foundation Program, governs special needs programs in the public school system. And in any case, the decrease in funding for special schools is illusory. Palin moved the Alaska Military Youth Academy’s ChalleNGe program, a residential military school program that teaches job and life skills to students under 20, out of the budget line for “special schools” and into its own line. This resulted in an apparent drop of more than $5 million in the special schools budget with no actual decrease in funding for the programs. One false rumor accuses then-Mayor Palin of threatening to fire Wasilla’s librarian for refusing to ban books from the town library. Some versions of the rumor come complete with a list of the books that Palin allegedly attempted to ban. The story is false on several fronts: Palin never asked that books be banned; the librarian continued to serve in that position; no books were actually banned; and many of the books on the list that Palin supposedly wanted to censor weren’t even in print at the time, proving that the list is a fabrication. Palin characterized the exchange differently, initially volunteering the episode as an example of discussions with city employees about following her administration’s agenda. Palin described her questions to Emmons as “rhetorical,” noting that her questions “were asked in the context of professionalism regarding the library policy that is in place in our city.” Actually, true rhetorical questions have implied answers (e.g., “Who do you think you are?”), so Palin probably meant to describe her questions as hypothetical or theoretical. We can’t read minds, so it is impossible for us to know whether or not Palin may actually have wanted to ban books from the library or whether she simply wanted to know how her new employees would respond to an instruction from their boss. It is worth noting that, in an update, the Frontiersman points out that no book was ever banned from the library’s shelves. Moreover, although Palin fired Emmons as part of a “loyalty” purge, she rehired Emmons the next day, and Emmons remained at her job for two-and-a-half more years. Actually, Palin initially requested Emmons’ resignation in October 1996, four days before the public discussion of censorship. That was at the same time she requested that all four of Wasilla’s department heads resign. Palin described the requests as a loyalty test and allowed all four department heads to retain their positions. But on Jan. 30, 1997, three months after the censorship discussion, Palin informed Emmons and Wasilla’s police chief, Irv Stambaugh, that they would be fired. According to the Chicago Tribune, Palin did not list censorship as a reason for Emmons’ firing. Palin rehired Emmons the following day. Emmons continued to serve as librarian until August 1999, when the Chicago Tribune reports that she resigned. Palin was never a member of the Alaskan Independence Party – which calls for a vote on whether Alaska should secede from the union or remain a state – despite mistaken reports to the contrary. But her husband was a member for years, and she attended at least one party convention, as mayor of the town in which it was held. The party’s chair originally told reporters that Palin had been a member, but the official later retracted that statement. Chairwoman Lynette Clark told the New York Times that false information had been given to her by another member of the party after she first told the Times and others that Palin joined the AIP in 1994. Clark issued an apology on the AIP Web site. There is still some dispute as to whether Sarah Palin also attended the AIP’s 1994 convention, held in Wasilla. Clark and another AIP official told ABC News’ Jake Tapper that both Palins were there. Palin was elected mayor of Wasilla two years later. The McCain campaign says Sarah Palin went to the 2000 AIP convention, also held in Wasilla, “as a courtesy since she was mayor.” As governor, Palin sent a video message to the 2008 convention, which is available on YouTube, and the AIP says she attended in 2006 when she was campaigning. Claims that Palin endorsed conservative Republican Pat Buchanan for president in the 2000 campaign are false. She worked for conservative Republican Steve Forbes. The incorrect reports stem from an Associated Press story on July 17, 1999, that said Palin was “among those sporting Buchanan buttons” at a lunch for Buchanan attended by about 85 people, during a swing he took through Fairbanks and Wasilla. Buchanan didn’t help matters when he told a reporter for the liberal publication The Nation on Aug. 29: “I’m pretty sure she’s a Buchananite.” But in fact, she wasn’t. Palin, July 26, 1999: As mayor of Wasilla, I am proud to welcome all presidential candidates to our city. This is true regardless of their party, or the latest odds of their winning. When presidential candidates visit our community, I am always happy to meet them. I’ll even put on their button when handed one as a polite gesture of respect. Though no reporter interviewed me for the Associated Press article on the recent visit by a presidential candidate (Metro, July 17), the article may have left your readers with the perception that I am endorsing this candidate, as opposed to welcoming his visit to Wasilla. As mayor, I will welcome all the candidates in Wasilla. The Associated Press, Aug. 7 1999: State Sen. Mike Miller of Fairbanks will head the Alaska campaign chairman for Republican presidential candidate Steve Forbes, campaign officials said. Joining the Fairbanks Republican on the leadership committee will be Wasilla Mayor Sarah Palin, and former state GOP chairman Pete Hallgren, who will serve as co-chairs. Still, after nine years, the truth has yet to catch up completely. On Aug. 29, the Boston Globe reported that Palin was open to teaching creationism in public schools. That’s true. She supports teaching creationism alongside evolution, though she has not actively pursued such a policy as governor. Palin, Oct. 25, 2006: Teach both. You know, don’t be afraid of information. Healthy debate is so important and it’s so valuable in our schools. I am a proponent of teaching both. And you know, I say this too as the daughter of a science teacher. Growing up with being so privileged and blessed to be given a lot of information on, on both sides of the subject – creationism and evolution. It’s been a healthy foundation for me. But don’t be afraid of information and let kids debate both sides. Palin, Oct. 2006: I don’t think there should be a prohibition against debate if it comes up in class. It doesn’t have to be part of the curriculum. After her election, Palin let the matter drop. The Associated Press reported Sept 3: “Palin’s children attend public schools and Palin has made no push to have creationism taught in them. … It reflects a hands-off attitude toward mixing government and religion by most Alaskans.” The article was headlined, “Palin has not pushed creation science as governor.” It was written by Dan Joling, who reports from Anchorage and has covered Alaska for 30 years. We’re still analyzing Kilkenny’s claims, and we will be posting something on this soon. Sutton, Anne. “Governor signs revamped education package into law.” Anchorage Daily News, 28 Mar. 2008. Holland, Megan. “Intensive needs funding examined.” Anchorage Daily News, 12 Jan. 2008. Cavanagh, Sean. “Alaska Legislators Overhaul Funding.” Education Week, 29 Apr. 2008. Joling, Dan. “Palin has not pushed creation science as governor.” The Associated Press, 3 Sept. 2008. Hayes, Christopher. “Sarah Palin, Buchananite.” The Nation “Capitolism” Web site, 29 Aug. 2008. Palin, Sarah. “Letters from the People.” Anchorage Daily News. 26 July 1999; 5B. The Associated Press: “Forbes sets Alaska leadership team,” 7 Aug 1999. Kizzia, Tom. “‘Creation science’ enters the race.” Anchorage Daily News, 27 Oct. 2006. Paulson, Michael. “Sarah Palin on faith, life and creation.” The Boston Globe, 29 Aug. 2008. Tapper, Jake. “Another AIP Official Says Palin Was at 1994 Convention.” ABCNews.com, 2 Sept. 2008. Tapper, Jake. “Members of ‘Fringe’ Alaskan Independence Party Incorrectly Say Palin Was a Member in 90s.” ABCNews.Com, 1Sept. 2008. Komarnitsky, S.J. “Wasilla Keeps Librarian, But Police Chief Is Out.” 1 February 1997. The Anchorage Daily News, 8 Sept. 2008. Stuart, Paul. “FROM THE ARCHIVE: Palin: Library Censorship Inquiries ‘Rhetorical’.” 18 December 1996. Mat-Su Valley Frontiersman, 8 Sept. 2008. White, Rindi. “Palin Asked City Librarian Whether She’d Ban Books.” 7 September 2008. The Chicago Tribune, 8 Sept. 2008.